Whether the headline of the day is about the gender pay gap, the gender investing gap, or the risks to our retirement – there’s no shortage of news about women and money. We already knew women tend to take more time out of the workforce to care for our children and aging relatives. And we’re still reminded many women leave a lot of the financial planning to our spouses. But there is good news too. More women are now investing in their 401k’s and real estate, negotiating higher salaries, seeking jobs in male-dominated fields, helping each other climb the career ladder, and writing and talking about personal finance. They also understand the importance of financial independence and planning for retirement. But women are also conflicted at times about money, success, relationships, and our futures. We need mentors and resources to answer our questions and help us grow not only our understanding of money and how we want to use it but our net worth too. Chatzky also states that in just over a decade, women will control about two-thirds of America’s wealth. While acknowledging the financial challenges women face, Jean reminds women we’re also turning the page. And we plan to use that money and power differently than many men. Women with Money is a guide to help you better understand your relationship with money and how you can use money as a tool to create the life you want – not just make more money. Chatzky is all about results in Women with Money. It isn’t enough to learn about your relationship with money if you aren’t going to work to achieve your goals and live a life that includes the things most important to you. Part II helps you determine a plan to prioritize not just your financial goals – but your happiness. Part III lets you re-focus on others and how you can use your money to help them and the causes that matter most to you. Women with Money is filled with stories from a diverse group of women. Boomer and millennial women. Single and divorced women. Women applying for new jobs, women entrepreneurs, and retired women. Women who grew up with plenty of money and women whose parents were chased by bill collectors. After reading their stories, you’ll better understand why they needed to write their own money story to live the life of their dreams. And you’ll learn how to do it yourself too. To get the most out of this book, you won’t just be reading through it. Chatzky puts you to work and lets you know to expect to be uncomfortable in order to make forward progress and change. 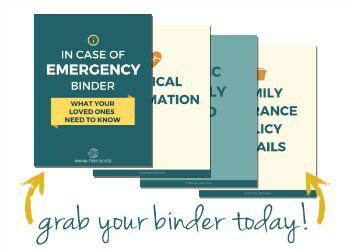 She gives you the tools and exercises necessary to take the first (and sometimes hardest!) steps. When you get overwhelmed, she’ll tell you to breathe – but she won’t let you stop. Jean presents options, but quitting isn’t one of them. She knows what’s at stake – your financial future and your happiness. You can trust what Jean tells you because “money” is her business. She’s covered personal finance for over 25 years. She’s the financial editor of NBC’s Today show, an award-winning personal finance journalist, and host of the weekly podcast – HerMoney with Jean Chatzky. The podcast also inspired her to start her new business – HerMoney. And this is just a partial list of Jean’s resume and accomplishments! 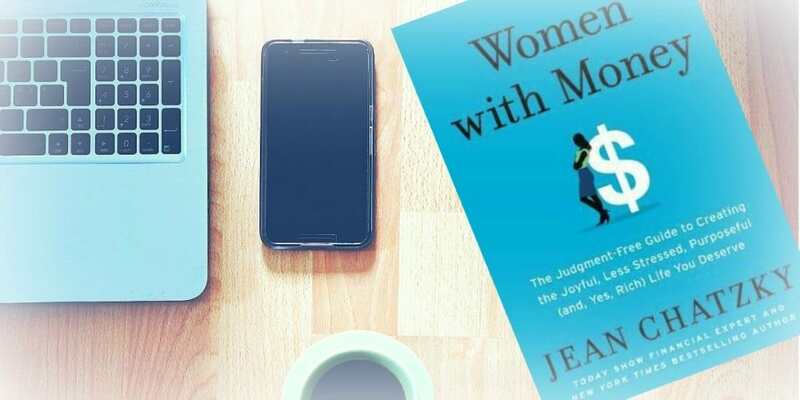 Jean shares a lot about her personal and professional life in Women with Money. In addition to being highly successful in a demanding career, she’s a Gen X mom who’s been divorced and remarried. She’s suffered the loss of a parent and gained step-siblings in a blended family when her mom remarried. Chatzky has also felt the stress of being a member of the sandwich generation, while also adjusting to living as an empty-nester. 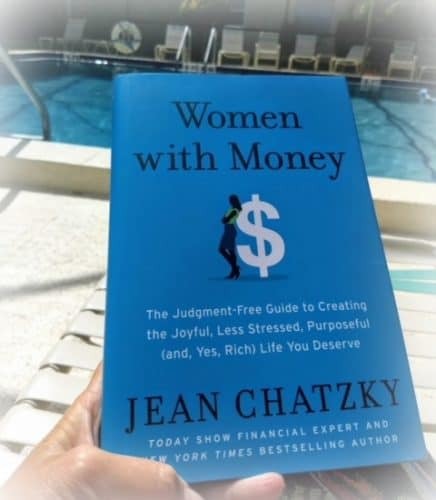 I’ve watched Jean Chatzky on the Today show for years and always appreciated the personal finance advice she gave. I was also excited to meet Jean and listen to her lead a panel discussion at a luncheon in New York City last fall when Amy and I (as Women Who Money) partnered with SheSpeaks and Prudential. I’ve always seen Jean as a role model for women and money. I read her best-seller – Make Money, Not Excuses – around the same time I got serious about my finances. A few years later, I reached financial independence myself – after doing and experiencing much of what she talks about in Women with Money. When it comes to money, your safety and security are always priorities. You can’t disconnect emotions and money. You need to learn to manage emotions around money instead. There are many ways to manage money in relationships – but money problems can and do end many relationships. As a woman, negotiating for more money helps everyone. There are specific ways to spend that make you feel good about it. 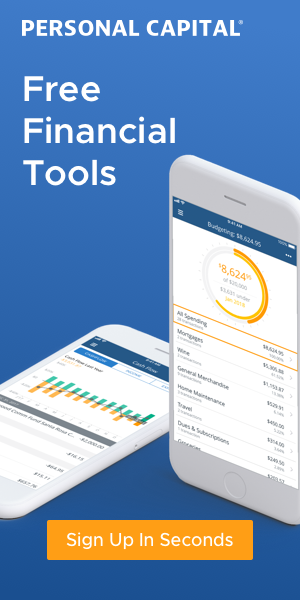 Your kids and your aging parents may look to you to help manage their finances. You have to take care of yourself and your finances in order to help your kids and parents. With more money, women can have a more significant impact on their family, community, and the world. If you have six figures of debt, are living paycheck to paycheck, or finally have a positive net worth – you might think this book isn’t for you because you feel more like a woman without money. But, while it might not be the right book for every woman, reading it will likely influence your relationship with money. 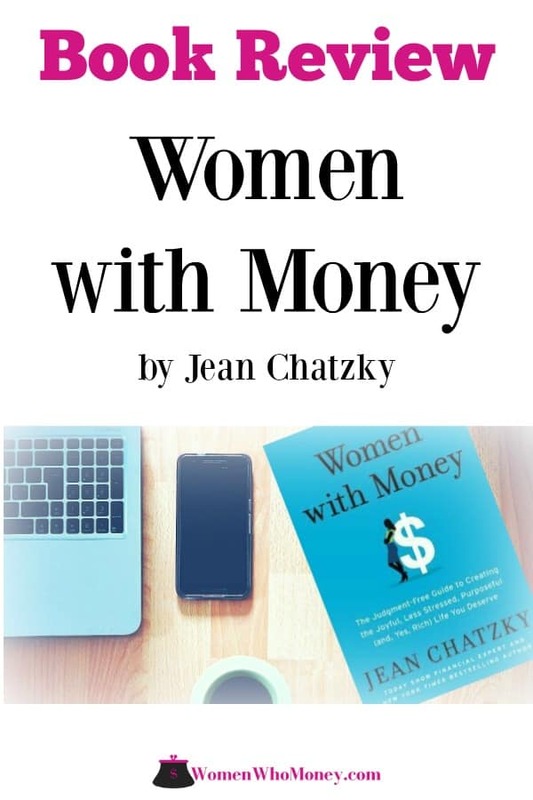 Women with Money is a guidebook that will help you take charge of your money and your attitude about it – and that’s our primary goal here at Women Who Money. Jean understands and explains why women’s struggles with money are different than men’s, but she stays solution-focused. When you finish Women with Money, check out one of our other favorites by Jean. If you’re approaching middle-age (or have a parent who is) – this is an essential read! It ranks up there with one of our favorite books we’ve reviewed – Younger Next Year. This book review was written by Vicki, co-founder of Women Who Money and Women’s Money Talk, and founder of Make Smarter Decisions. Sounds like a good book. It’s reassuring to know that women are having more and more financial power (the intergenerational wealth statistic is surprising to me!). I’ll surely check it out. Sounds like a good book for me to take on my trip. I read a book she wrote called “The Difference”. It also came with exercises to make you think.